Businesses for Sale in California – Selling Businesses Is Our ONLY Business! Selling Businesses Is Our ONLY Business! Businesses For Sale In California is a full service Business Brokerage company that offers all types of businesses for sale in California. They specialize in valuating, packaging, listing and selling existing business opportunities, new business opportunities, franchises and Internet related businesses, throughout California. Businesses For Sale In California is an Affiliate of Global Business Brokers International, a company with 30 years of business brokerage experience and well over 1,000 businesses sold! Orville Wright, “The California Business Broker,” is a Certified Business Broker (CBB) and has over three decades of experience in evaluating and selling businesses in the USA, Canada, Mexico, Western Europe, Australia and Southeast Asia. 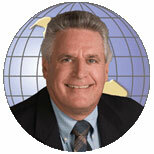 He has sold hundreds of businesses in a wide range of product and service industries. Orville has the background and experience to obtain the best possible deals for his clients in the least amount of time. COURTESY VALUATIONS – If you are ready to sell your business now, Businesses For Sale In California can provide a Courtesy Valuation of your business, based on preliminary financial information, to determine the Fair Market Value range of your business. This is very important in determining the ultimate sales price of your business. As the name implies, there is no cost or obligation for this valuation, as long as your business meets our basic criteria. SELL YOUR BUSINESS – Businesses For Sale In California has all of the tools and skills necessary to attract the largest number of qualified buyers for your business, from all over the world! They advertise and promote their listings on many Business Opportunity Web Sites, throughout North America, and overseas..
Only buyer prospects that have signed a Confidentiality and Non Disclosure Agreement will have access to your preliminary information. BUSINESS BUYERS – If you are ready to buy a business, you can save yourself a great deal of time and frustration by only looking at businesses that have been professionally valuated. All businesses listed by Businesses For Sale In California have “passed the test” of being profitable now, have excellent books and records and have excellent prospects for continued growth and profitability. You can begin your search by clicking on the BUSINESSES FOR SALE BY CATEGORY or the BUSINESSES FOR SALE BY REGION button above. FACILITATE THE NEGOTIATION PROCESS – Since selling or buying a business is at least as emotionally charged as selling or buying a home, both the seller and the buyer will benefit greatly from a professional California Business Broker like Orville Wright who can objectively negotiate all of the aspects of a successful business sales transaction with the objective of making sure that the final result is fair to all parties! FACILITATE THE TRANSFER PROCESS – Finding the right buyer for a business is just the beginning of a successful transaction. Orville Wright will assist both the buyer and the seller in every aspect of the transfer, right through to completion. Orville knows what to do to make the entire process go as quickly and as smoothly as possible. If you are serious about purchasing a business, you can search the Businesses For Sale In California database of Businesses For Sale. They offer Automotive, Distribution, Food Service, General Service, Home Based Businesses, Manufacturing, Recreation and Retail businesses, Franchise listings and Internet related businesses.